Posted 02-6-2019 by Miranda Fulmore. Pictured is the family of Bradford protesting in Montgomery. 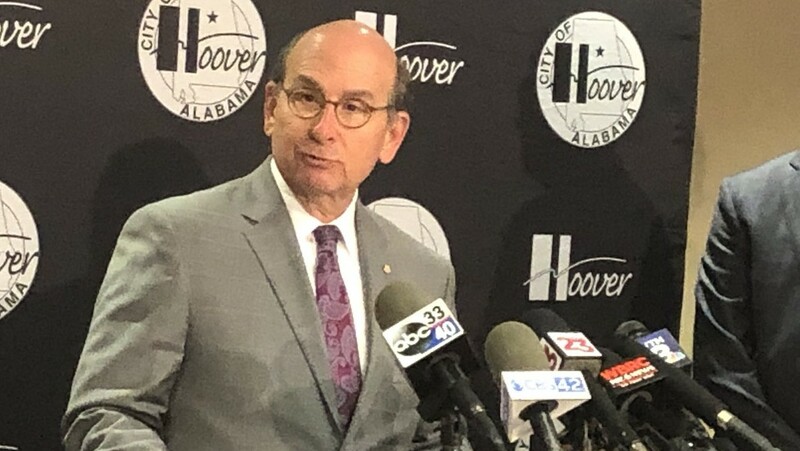 Hoover Mayor Frank Brocato says the city plans to defend the unidentified officer who shot and killed Emantic Bradford Jr. in any potential civil litigation. This comes one day after Attorney General Steve Marshall‘s office released a report by the State Bureau of Investigation that cleared the officer of wrongdoing. Mayor Frank Brocato speaks to media. Bradford was killed Thanksgiving night at the Riverchase Galleria in Hoover. He was shot by a Hoover police officer responding to gunfire inside the mall. When the officer arrived on the scene, he says he saw Bradford with a gun and assumed he was a threat. Bradford was running towards his friend, Brian Wilson when the officer fired three bullets from behind into Bradford’s head, neck and back. Wilson was wounded by Erron Brown, who fled the scene and said he was acting in self-defense when he shot Wilson. Outraged by the report findings, activists moved their efforts Wednesday to the state capitol in Montgomery. Joining them were members of Bradford’s family, who say they plan to file a civil suit against the officer who shot Bradford, and against the city of Hoover. Protesters for #EmanticBradfordJr are at the state capitol today in response to @AGSteveMarshall‘s recent report that cleared the officer who shot Bradford. They’re chanting “hands up, don’t shoot” while carrying signs. This is their latest attempt after two months of intermittent protesting throughout Hoover. Thev’ve marched outside the home of Mayor Frank Brocato, the mall where Bradford was killed, and blocked busy roads and interstates. The protesters continue to ask that the entire video of the shooting be released ,along with the identity of the officer who shot him. But AG Steve Marshall told WBHM in an interview there is no reason to reveal his identity. Marshall says there is no value to the public in knowing his identity. Meanwhile, Hoover Mayor Brocato says he does not know the officer directly, but that he will go “through a process” outlined by Hoover Police Chief Nick Derzis in order to return to work. The U.S. Department of Justice is reviewing the case of the Hoover police officer who shot and killed 21-year-old Emantic “EJ” Bradford Jr. on Thanksgiving. To help us unpack this, we turned to former U.S. Attorney for the Northern District of Alabama Joyce White Vance. Officials Won’t Name Hoover Officer Involved in Shooting. Why Not? Officials still have not released the name of the police officer who shot and killed a 21-year-old black man at the Riverchase Galleria mall. The attorney general cleared the officer of any wrongdoing. Should authorities release his name? 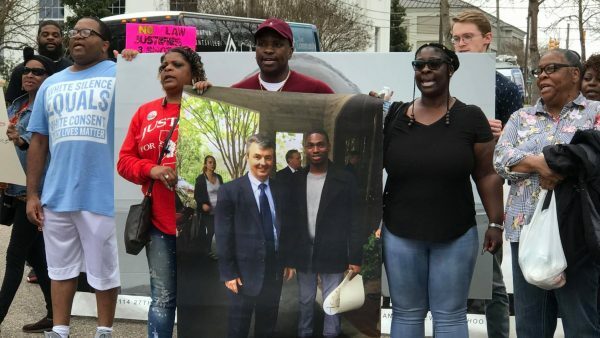 Alabama Attorney General Steve Marshall’s office spent more than two months investigating the shooting death of Emantic “EJ” Bradford Jr. at the hands of a Hoover police officer. Marshall released the findings of his investigation and explained to WBHM why he won’t prosecute the officer. Alabama Attorney General Steve Marshall says the officer who shot and killed Emantic Bradford Jr. Thanksgiving night was justified. This comes in a report released Tuesday, more than two months after the shooting.